Fashion vector illustrations of different hats. Lady’s hats with different shapes and colors decorated with flowers, ribbons and leaves and a top hat with a subtle elegant ribbon. 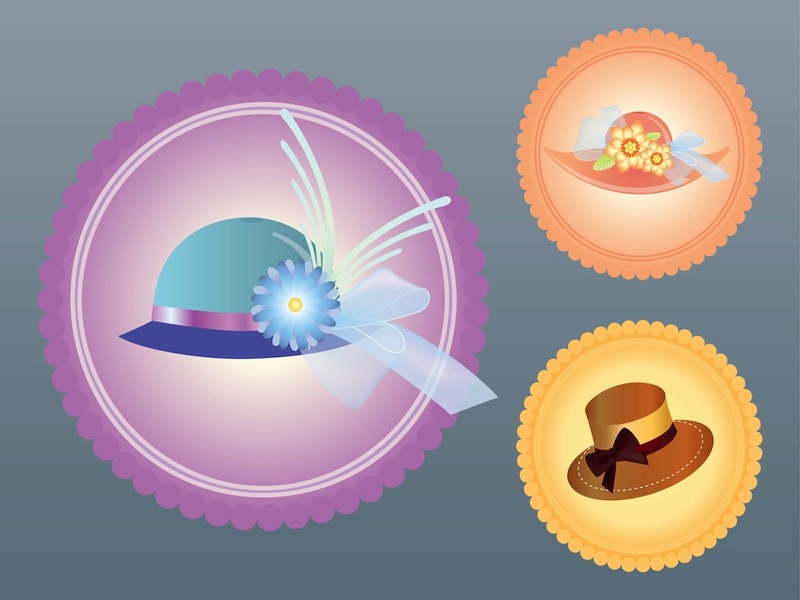 Free vector illustration of hats placed in colorful circles for all fashion, style, accessories, stickers and company logo designs. Tags: Accessories, Decorations, Fashion, Flowers, Ribbons, Style.